I had some extra down time today so I finally pulled out my New Testament to read some scripture. These are my bookmarks. 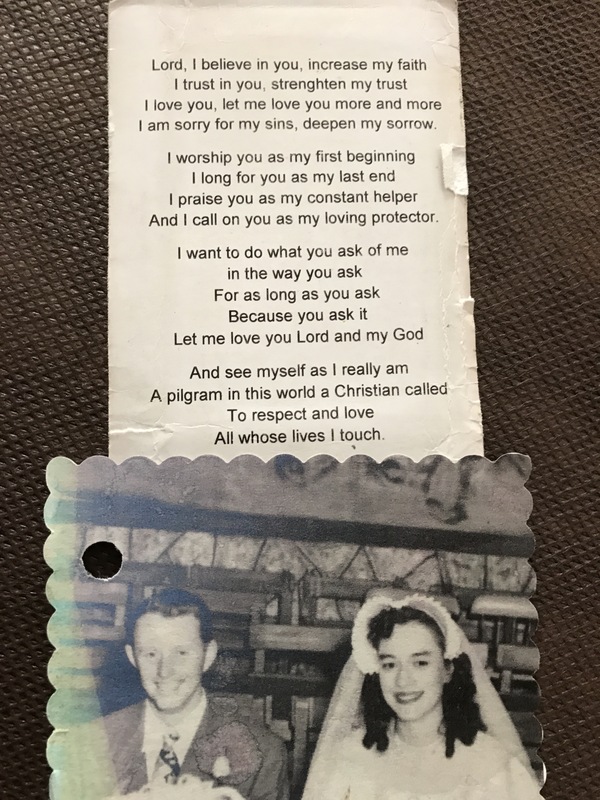 My favorite prayer and my Mom & Dad on their wedding day…young & full of life. God bless them dearly and have mercy on them in their old age. I love you Mom & Dad.